I got this book for my birthday and I was really excited to read it. Galactic Hot Dogs is about a boy named Cosmoe, his best friend Humphree, and their robot sidekick F.R.E.D. When Cosmoe and Humphree cook up a Mega-Dog for the Intergalactic Food Truck Cook Off, everything begins to go wrong. The Evil Princess Dagger steals their Mega-Dog. When they finally get their food back and try to leave the planet, they are accused of kidnapping the princess! The Queen wants her daughter back, and everyone in the galaxy are trying to catch Cosmoe and Humphree. From video game competitions to fighting evil monsters, Cosmoe and Humphree experience it all. 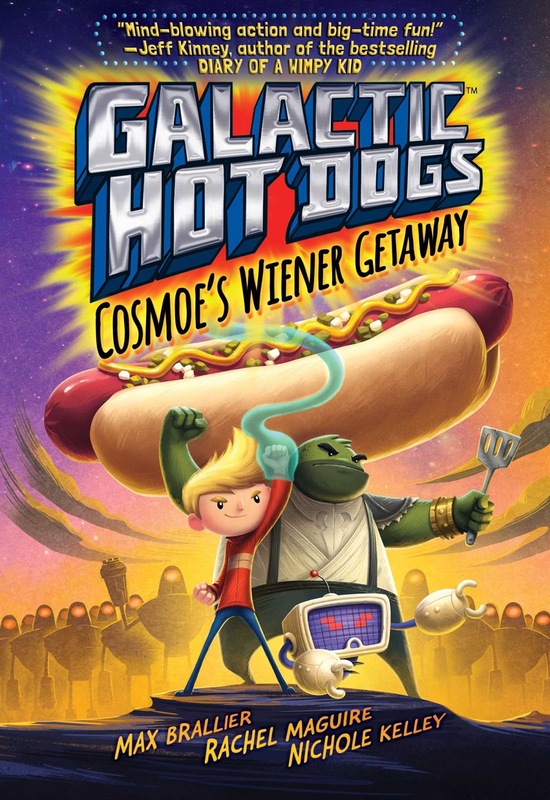 Galactic Hot Dogs is a great book because of all the funny moments and the jokes in the story. I really liked the illustrations and felt they helped the reader follow the story of Cosmoe and Humphree's crazy adventures. 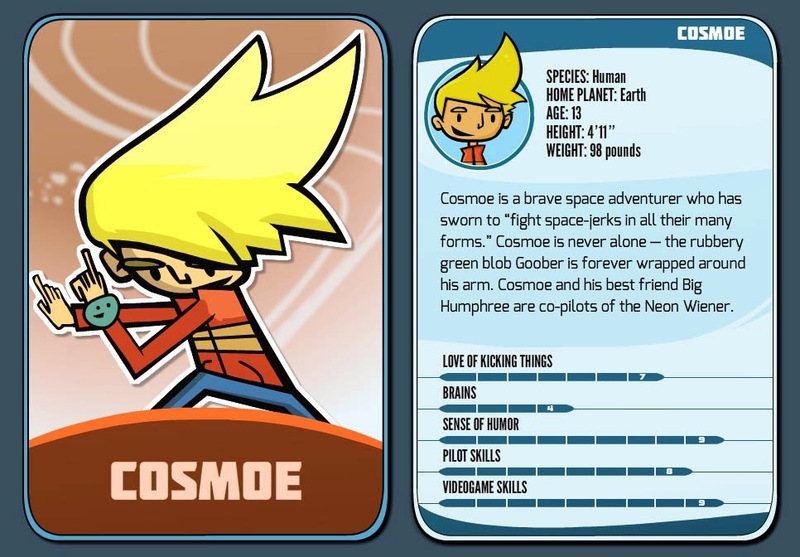 Besides the main characters, Goober is also a fun part of the story. He is an elastic blob stuck to Cosmoe's wrist and kind of like having a special super power. I received the second book for my birthday and read it immediately too. I can't wait for the third book that is coming out soon.